1Not available with special finance or lease offers. See dealer for details. 2Cadillac is announcing a conquest incentive to customers who currently own or lease a 2005 or newer non-GM passenger car or truck model and purchase or lease a new and unused 2019 Cadillac CTS. Customer must have owned / leased the qualifying conquest vehicle for a minimum of 30 days prior to the sale of the new Cadillac. This incentive is not compatible with all offers, residency restrictions may apply, and some customers may not qualify for all offers. See dealer for complete details. 3Cadillac is announcing a lease pull-ahead program and will waive up to 4 remaining lease payments up to a maximum of $2,000 for customers who have a current Cadillac lease through Ally, GM Financial, or US Bank with a termination date on or before January 2, 2020 and purchase or lease a new and unused 2019 Cadillac ATS, CTS, CT6, XT5, or XTS (excludes W30). The customer must terminate their current lease. This incentive is not compatible with all offers, residency restrictions may apply, and some customers may not qualify for all offers. See dealer for complete details. 4Cadillac is announcing a loyalty program for customers who currently own or lease a 2003 or newer Cadillac passenger car or truck and purchase a new and unused 2019 Cadillac CT6 (excludes CT6-V), 2019 Cadillac CTS, or 2019 Cadillac XTS (excludes W30). This incentive is not compatible with all offers, residency restrictions may apply, and some customers may not qualify for all offers. See dealer for complete details. 1Not available with special finance or lease offers. See dealer for details. 2Cadillac is announcing a conquest incentive to customers who currently own or lease a 2005 or newer non-GM passenger car or truck model and purchase or lease a new and unused 2019 Cadillac CTS. Customer must have owned / leased the qualifying conquest vehicle for a minimum of 30 days prior to the sale of the new Cadillac. This incentive is not compatible with all offers, residency restrictions may apply, and some customers may not qualify for all offers. See dealer for complete details. 3Cadillac is announcing a lease pull-ahead program and will waive up to 4 remaining lease payments up to a maximum of $2,000 for customers who have a current Cadillac lease through Ally, GM Financial, or US Bank with a termination date on or before January 2, 2020 and purchase or lease a new and unused 2019 Cadillac ATS, CTS, CT6, XT5, or XTS (excludes W30). The customer must terminate their current lease. This incentive is not compatible with all offers, residency restrictions may apply, and some customers may not qualify for all offers. See dealer for complete details. 4Cadillac is announcing a loyalty program for customers who currently own or lease a 2003 or newer Cadillac passenger car or truck and purchase a new and unused 2019 Cadillac CT6 (excludes CT6-V), 2019 Cadillac CTS, or 2019 Cadillac XTS (excludes W30). This incentive is not compatible with all offers, residency restrictions may apply, and some customers may not qualify for all offers. See dealer for complete details. 5Cadillac is announcing a GM Financial APR program that is good towards the purchase of a new and unused 2019 Cadillac ATS, 2019 Cadillac CTS, 2019 Cadillac CT6 (excludes CT6-V), 2019 Cadillac XTS (excludes W20/W30), 2019 Cadillac XT4, 2019 Cadillac XT5, 2019 Cadillac Escalade, or 2019 Cadillac Escalade ESV. This incentive is not compatible with all offers, residency restrictions may apply, and some customers may not qualify for all offers. See dealer for complete details. Lease for $631/month for 39 months with $2,500 due at signing including $0 Security Deposit and 10,000 miles per year. Payment expires on 04/30/19. Estimated Lease payment based on 39 months and $2,500 due at lease signing. Cash due at signing includes $1,220 capitalization cost reduction, which includes $650 acquisition fee, plus a required security deposit of $0, and first month's lease payment of $631. Excludes title, taxes, registration, and license fees. Total monthly payments equal $26,478. Mileage charge of $0.25 per mile over 10,000 miles. Not all consumers will qualify. Residency restrictions may apply. 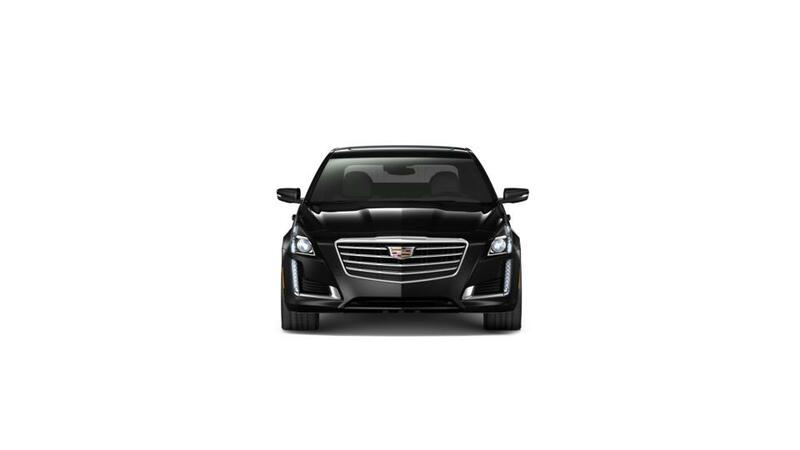 1Cadillac is announcing a loyalty program for customers who have a current Buick, Cadillac, Chevrolet, or GMC lease through Ally, GM Financial, or US Bank and lease a new and unused 2019 Cadillac ATS, 2019 Cadillac CTS, 2019 Cadillac CT6 (excludes CT6-V), 2019 Cadillac Escalade, or 2019 Cadillac Escalade ESV. This incentive is not compatible with all offers, residency restrictions may apply, and some customers may not qualify for all offers. See dealer for complete details. 2Cadillac is announcing a conquest incentive to customers who currently own or lease a 2005 or newer non-GM passenger car or truck model and purchase or lease a new and unused 2019 Cadillac CTS. Customer must have owned / leased the qualifying conquest vehicle for a minimum of 30 days prior to the sale of the new Cadillac. This incentive is not compatible with all offers, residency restrictions may apply, and some customers may not qualify for all offers. See dealer for complete details. 3Cadillac is announcing a lease pull-ahead program and will waive up to 4 remaining lease payments up to a maximum of $2,000 for customers who have a current Cadillac lease through Ally, GM Financial, or US Bank with a termination date on or before January 2, 2020 and purchase or lease a new and unused 2019 Cadillac ATS, CTS, CT6, XT5, or XTS (excludes W30). The customer must terminate their current lease. This incentive is not compatible with all offers, residency restrictions may apply, and some customers may not qualify for all offers. See dealer for complete details. Lease for $639/month for 39 months with $2,500 due at signing including $0 Security Deposit and 10,000 miles per year. Payment expires on 04/30/19. Estimated Lease payment based on 39 months and $2,500 due at lease signing. Cash due at signing includes $1,212 capitalization cost reduction, which includes $650 acquisition fee, plus a required security deposit of $0, and first month's lease payment of $639. Excludes title, taxes, registration, and license fees. Total monthly payments equal $26,750. Mileage charge of $0.25 per mile over 10,000 miles. Not all consumers will qualify. Residency restrictions may apply. Estimated Lease payment based on 39 months and $2,500 due at lease signing. Cash due at signing includes $1,227 capitalization cost reduction, which includes $650 acquisition fee, plus a required security deposit of $0, and first month's lease payment of $624. Excludes title, taxes, registration, and license fees. Total monthly payments equal $26,195. Mileage charge of $0.25 per mile over 10,000 miles. Not all consumers will qualify. Residency restrictions may apply.